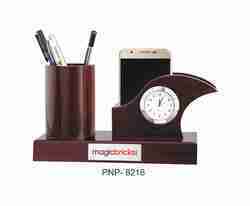 Our range of products include conference leather tent card, wooden table top pen holder, wooden table top holder, clock, table planner and table clock with pen holder. Leather Tent card Conference Office Meetting...Perfect for brand promotion. 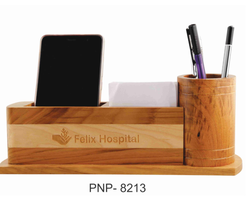 Wooden Table top Pen Holder with customisation. 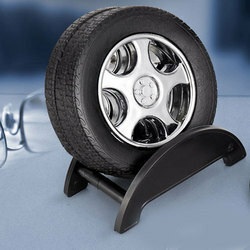 Suitable for corporate gifting and brand promotion. 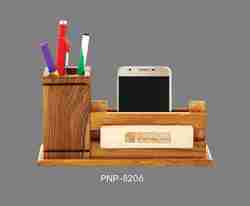 Made of natural wood perfect match to keep Mobile phone, Pens and Coaster. 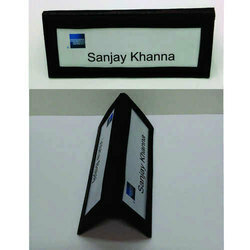 Personalization or branding can be done with engraving. 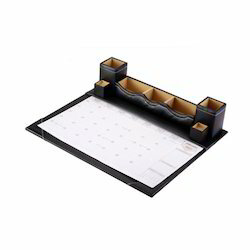 Material:Leatherite Table PlannerPerfect for corporate gifting and promotional events. Packaging Details: Card Box Per Pcs. Coaster Plates made of virgin plastic. 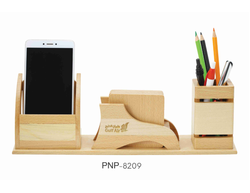 Ideal for every office and perfect for the promotion. 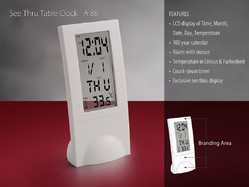 Table Top clock Frame (Wood Table Top), ideal for corporate gifting and band promotion. 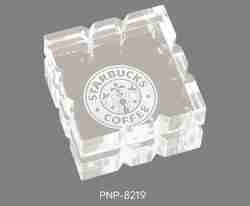 Acrylic Paper weight in square shape which can add to the looks of your table. 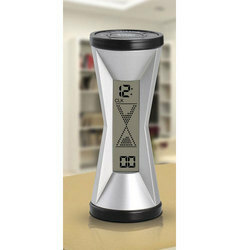 Clock with mobile and pen holder , suitable for corporate gifting and promotion. 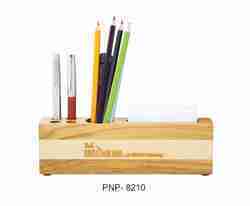 Stylish wooden pen holder can be used as a table top. 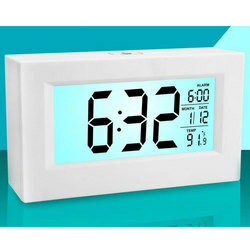 Ideal for corporate gifting and brand promotion. Pen and Mobile Holder in Highly finished wood. 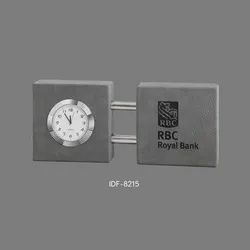 Ideal for corporate gifting and brand promotion. 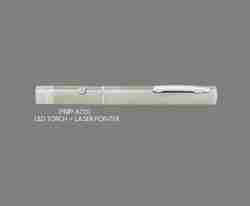 LED Torch with laser Pointer in the shape of Pen. Suitable for corporate gifting.